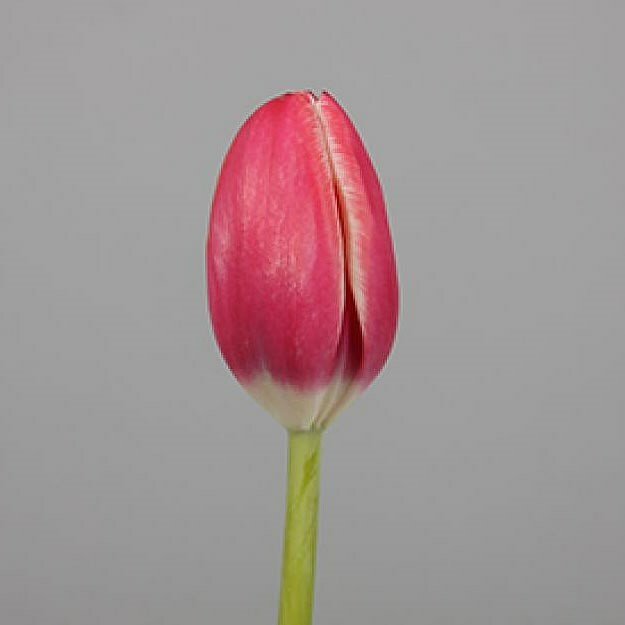 Tulips furand 35cm is a single flowering White / Pink cut flower - wholesaled in Batches of 50 stems. Tulips will always bend towards the light, so condition in their wrappers to keep straight. Floristry wire can be pushed up the stems before arranging.